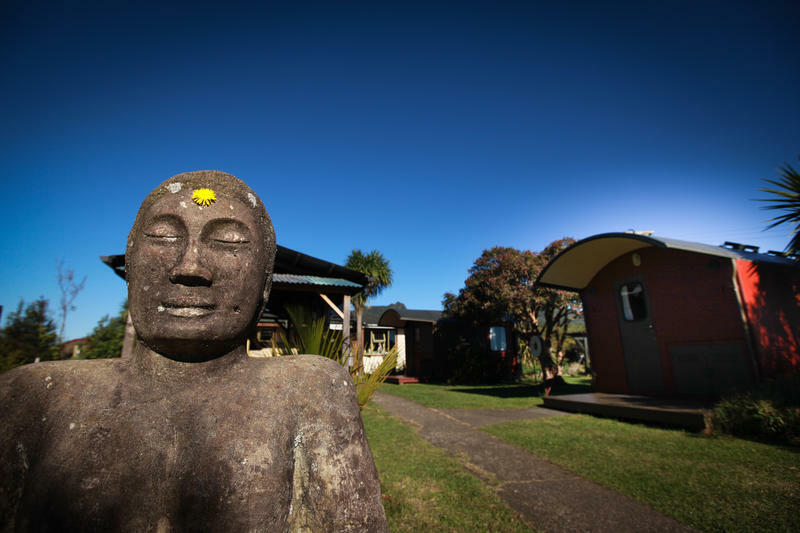 Solscape is a 10 acre property nestled at the foot of Mt Karioi, overlooking the Tasman Sea and just a bush walk away from Ngaranui Beach and world famous surf break Manu Bay. Situated just a few kms from Raglan township on New Zealands beautiful westcoast, we are 2 hours south of Auckland and 40 minutes west of Hamilton. Our lodgings are consciously designed to fit within our primary goals of minimizing our ecological footprint and inspiring our visitors with many working models of sustainable living. This year we are excited to be stepping into our long held vision of creating an educational space hosting a myriad of courses, workshops and retreats in practical sustainability and holistic well-being. Solscape offers unique accommodation in 14 recycled, authentic NZ railway carriages and cabooses. Choose from our larger, self-contained carriage and our double, twin, dorm and triple share cabooses. * Surfing! Best known for long peeling left-hand point breaks, Raglan also offers ideal conditions for beginners and novice surfers. Solscape Eco Retreat offers customised surf packages, surf lessons and board hire. Surf guiding is also available for the more advanced surfer. * Raglan is one of New Zealand's premier kiteboarding locations. Because of Raglan's natural land formations, nearly any wind direction is suitable for kiteboarding. * There are several bush and beach walks in Raglan, including climbing Mt Karioi, Te Toto Gorge and the beautiful Bridal Veil Falls waterfall track. 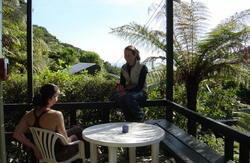 * Lots of other ways to get in touch with the great outdoors at Raglan including kayaking and horse trekking tours. *Healing massage therapists and individual yoga classes are available onsite by appointment. Raglan town has a unique laid-back atmosphere and offers a wide array of eateries catering to all tastes. Interesting shops line the main street with their array of bohemian arts-and-crafts. Raglan is approximately 2 hours south of Auckland. Drive South on Highway 1 and turn west onto Highway 23 from Hamilton. From Raglan township follow Wainui Rd towards Manu bay for 6kms until you see our signs on the left.